It is a double edged sword really isn’t it? You want to visit an area of peaceful, undisturbed natural beauty. You want to get ‘back to nature’ but often, in doing so, you can be guilty of actually damaging the environment that you want to appreciate. 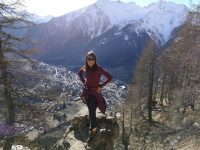 The hiking in the spectacular ‘unspoilt’ landscapes and living a more socially responsible lifestyle is what motivated me to put down roots for a while in Courmayeur. I adore being literally right in the mountains, living at the very top of the village just a few steps away from the start of the trails. I also like that Courmayeur retains a sleepier, less touristic atmosphere than nearby Chamonix, for example. 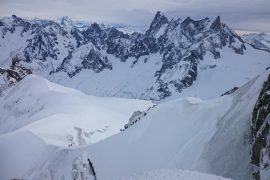 Don’t get me wrong I think Chamonix is lovely, I just prefer the quieter and more traditional feel that Courmayeur has. Annie and I are out hiking every day come sun or snow and I feel it is a huge privilege and one that I try my hardest not to take for granted. I am also conscious though that there is a dichotomy here that is tough to reconcile. There is no arguing that mass tourism has had a huge, often negative, impact on the Alps as a whole and I don’t want to be contributing to this myself in a destructive way. Since coming over here and researching some of the social and environmental issues at a local and global level more closely, I am trying to be more proactive in making bigger changes to reduce my carbon footprint and support the environment. I am using my car much less, looking at more ways to minimise the waste I create and I am also trying to move to veganism, not just for the clear animal welfare implications, but also to reduce the environmental impact. I tried this previously and failed so I am doing this as a more gradual process this time to wean myself off my extreme cheese addiction! It doesn’t help that I am based in an area that is famed for its cheese production. Having seen the number of visitors queuing to go up the giant cable cars in the region and also seeing the mass numbers of hikers making their way along the trails whilst completing the popular 170 km multi-day trek, the Tour du Mont Blanc, in the summer season I have become more aware of the strain we are putting on the countryside that we are here to admire. Are the Alps in danger of falling foul of ‘Mass Tourism’? 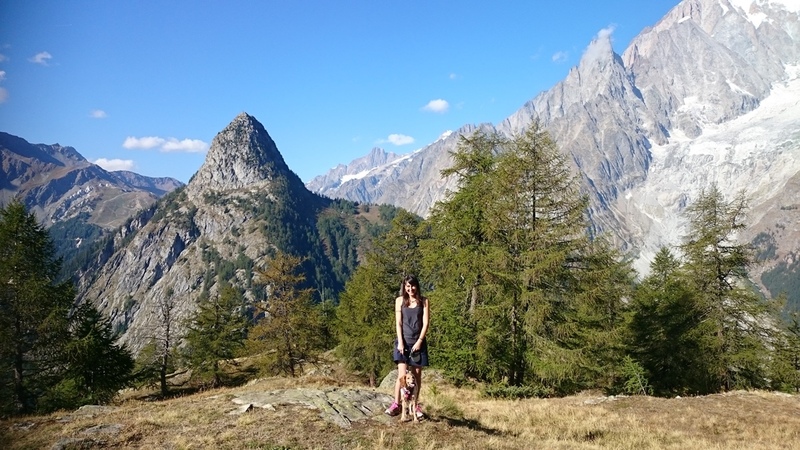 The figures suggest that the Alps are host to over 120 million visitors per year! This means that the infrastructure for a mountainous area is pushed to its limit. There is more vehicle pollution, more highways being built, more largescale commercial hotels and giant parking lots. 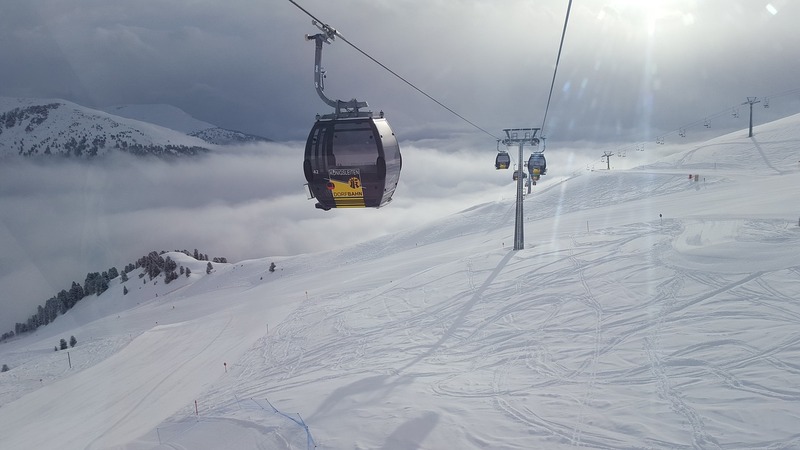 There is no getting away from the fact that skiing is actually one of the most negatively impactful of the tourist activities on the Alps but, of course, it also generates the greatest income. Ski run construction causes irreversible harm to the terrain and also the creation of artificial snow can cause issues for wildlife and the snow canons use up a huge amount of water and energy. As the weather becomes milder with climate change, the ski slopes are going higher and higher in their search for the right conditions. This brings with it a further threat of damage to the already fragile glacial landscape. This is a contentious issue. 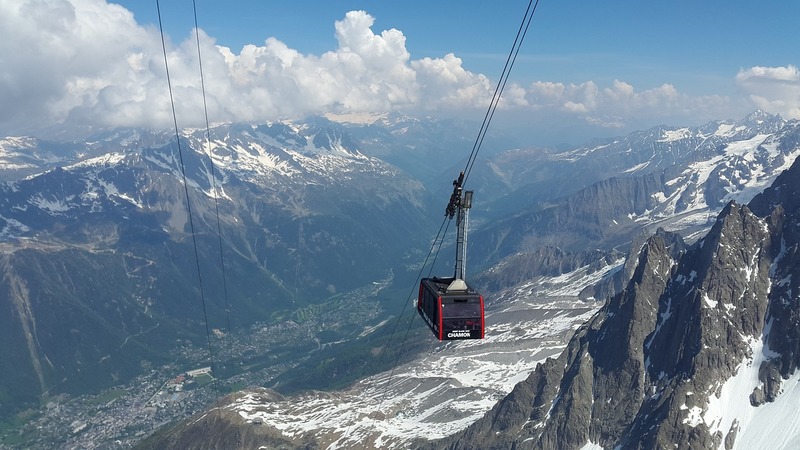 There is no denying that the Valle Blanche cable car that goes from the Aiguille du Midi to Pointe Helbronner on the Chamonix side and the Skyway Monte Bianco in the Courmayeur side are massive tourists draws and seriously impressive feats of engineering. They were both multi-million euro investments and they do bring the visitors, and thus the income, to the area. It is also a great opportunity for those people that are not able or willing to go on foot to experience the high mountain environments. Those against the cable cars though believe that their construction has caused too much damage to the landscape and that they are a blip on the natural environment. The mass volumes of hikers, combined with the damage being wrought by climate change, is having an impact on the mountain landscapes. 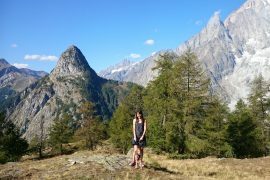 There are a multitude of mountain paths that are suffering from erosion, often the local flora and fauna is being damaged and there are problems with litter and waste on the trails. Some of the mountain huts that are operated in the summer months for the hikers are less environmentally friendly than others too. It is, of course, not just tourism that is impacting on the Alps, climate change is even more damaging. Rainstorms are becoming more frequent and extreme and this, in turn, is causing an increase in landslides. This is changing the shape of the landscape. 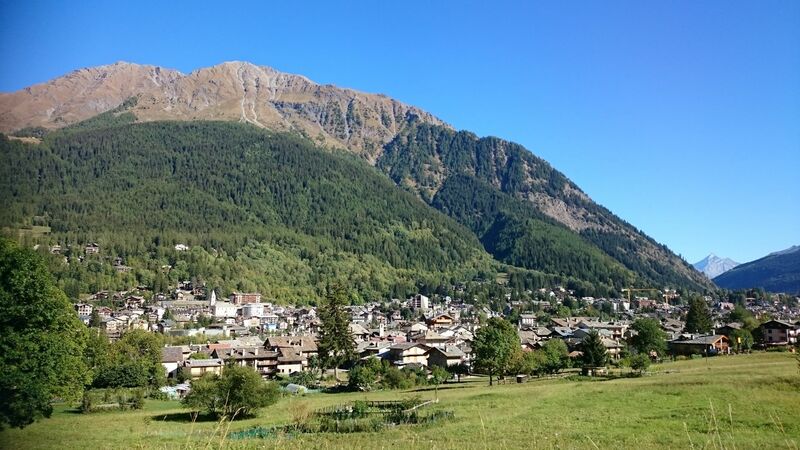 In August this year, 2018, two people were killed and hundreds had to be evacuated after a particularly large mudslide in nearby Val Ferret. The rising temperatures will also have an impact on the economy, ski seasons will become shorter and other winter activities may be limited. 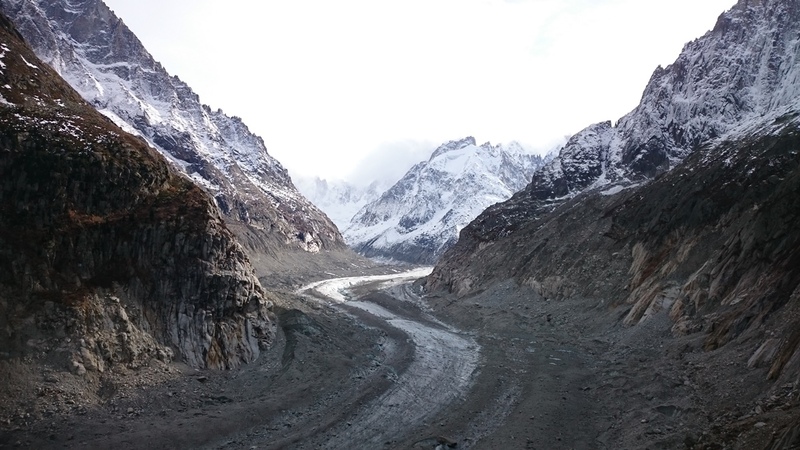 I recently visited the Mer De Glace Glacier on the Chamonix side and the startling effects of climate change are clearly in evidence here. In just 20 years the Glacier has retreated a staggering 80 meters. Where once climbers could easily access the ice, now there is a set of ladders attached to the rock face to allow them to climb down to the retreating surface. I am going to do a full blog post on this soon but if you take a trip up to the Glacier you will see first hand the impact that the changing climate is having! 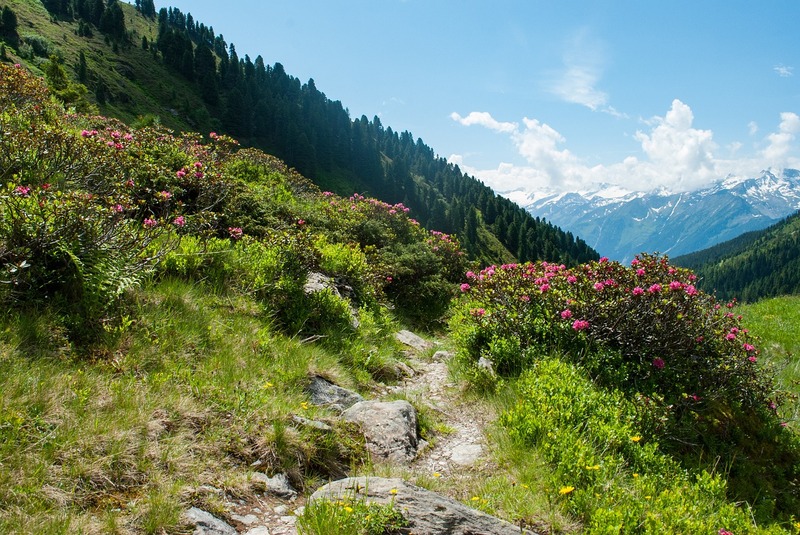 Organisations like CIPRA, the International Commission for the Protection of the Alps, are working hard to campaign for better legislation and awareness. 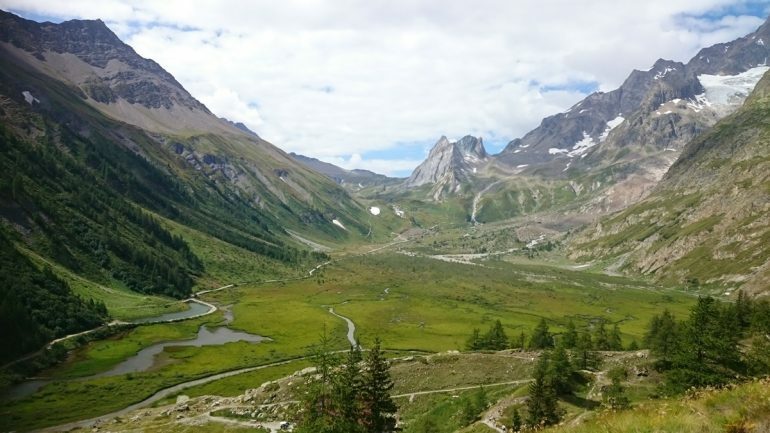 There are lots of scientific research projects being undertaken and initiatives to push forward with sustainable agriculture and tourism across the Alpine regions. Agriculture-related tourism is becoming more common and organic farming and cattle grazing is on the increase too. There is a shift amongst a lot of the hotels and accommodations to become more environmentally friendly with sustainable energy sources and more. I have spotted lots of solar energy panels around the area on my travels. A lot of the hotels work hard to source locally produced food and environmentally friendly products for any building work. Organisations like the Alpine Pearls, an initiative that promotes sustainable Alpine tourism, are becoming more well known and offer carbon neutral holiday options. 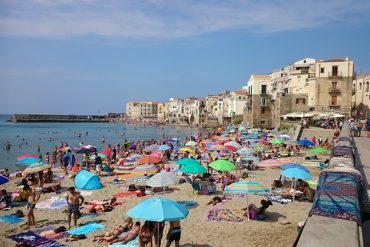 If you are planning a visit to the area, what can you do? I would always encourage people to visit the region. It is truly beautiful and enjoying an active holiday in the fresh air away from the distractions of mobile phones and other mod cons is really great for the soul! If you are coming, do just consider your own impact on the area. Below are some things to consider when you are visiting. The increased pressure in terms of carbon emissions is a big concern for alpine regions. There are generally good public transport options in the area so why not plan to use these. When you get to your destination, you are in an area of outstanding natural beauty and the best way to appreciate it is by foot and not car. There are lots of companies and individual accommodations offering more sustainable accommodation options. Why not check out Alpine Pearls or the WWF Panda Gite scheme. The Alpine areas are trying to diversify their tourism offerings, many resorts no longer rely on their ski season to bring in all their income. Help support these other activities and events by taking part, it is the only way they will continue to be offered and will help to spread the word that the region is more than just a skiing destination. The Aosta Valley has lots of wonderful regional events throughout the year. For example, in October the locals fire up all the old traditional community stone ovens to bake the local speciality, Pan Ner (Black Bread). This is a big issue on the alpine paths and is a particular problem on the busy multi-day trails like the TMB. I have seen it myself during the summer months. The amount of toilet paper that is discarded on or right beside the trails is awful. Make sure, if you have to go, that you bring a ziplock bag to lift your paper and ideally any waste too and, of course, lift any other litter too. There are often complaints about the amount of human excrement visible on the trail and locals have been known to have to clean it up! I have heard on the French side that the mountain is sometimes referred to as ‘Mont Noir’ because of the problem! Make sure you respect the environment, so if you are having a bbq be careful of where you light this and don’t pick any of the natural flora and fauna, that is what your camera is for! It is really important to stick to the designated trails. Not only can moving off the trail cause damage to important flora and fauna but it can also cause further erosion in new areas. Even just taking a shortcut to avoid a frustrating zig-zag section is to be discouraged. Mountain bikers often head off the trail and this is even more of a problem for the erosion it can cause. 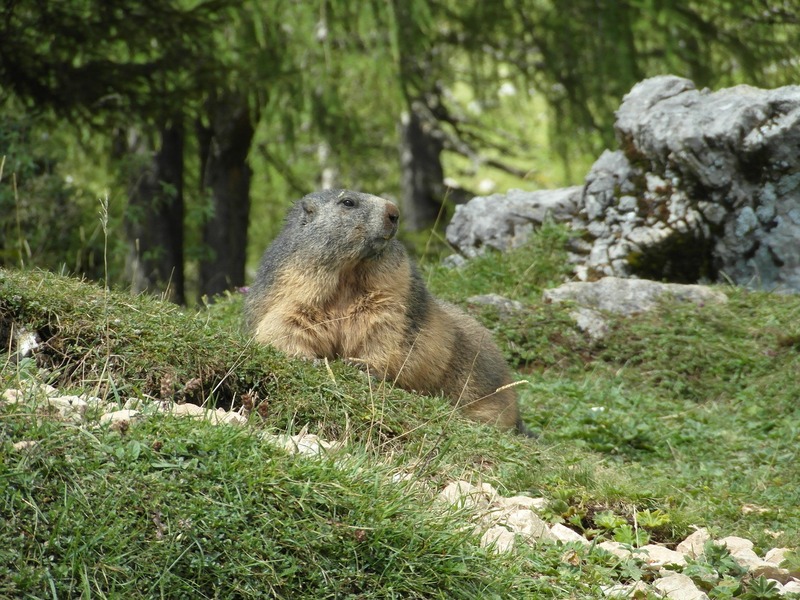 The Alps are home to some species and if you are lucky enough you may get to see animals like the Chamois or Ibex (wild mountain goats), the sweet little Marmot or impressive birds of prey. Don’t forget to be respectful of the other animals that you are sharing the environment with. This is another reason for not going off the trails, you may be straying into nesting areas or disturbing dens. Off Piste Skiers particularly should be aware of birds and animals nesting during springtime. Don’t forget that the alpine water is of wonderful quality, so why buy bottled water? Not only is it costing you when you have a plentiful free source but you are also creating unnecessary plastic waste. There are fountains for topping up water dotted all along the mountain trails and the tap water is fine for drinking too. Support the local economy and businesses and try to buy locally produced and sourced products. This also reduces your carbon footprint. If, like me, you are visiting with a dog make sure that you are respectful of the local environment. Unless you can guarantee they will be under close control, keep them on a leash on the mountain trails. Not only is there a risk that they could fall over the edge of one of the more precipitous slopes but they could be a risk to you or other walkers should they barge past. They can also be a menace to the local wildlife. Pick up their poop no matter how remote you think you are. Follow the ‘leave no trace’ philosophy and it also minimises the risk of any wildlife picking up any illnesses passed on through your dog’s faeces. So, does that mean that you shouldn’t holiday in the Alps? Absolutely not! Apart from the fact that the area relies heavily on the tourism industry and the local communities would not be able to function without it, I think it is important for people to appreciate breathtaking areas of nature up close. I would argue that bringing children to enjoy the fresh air and mountain activities is much more worthwhile than an all-inclusive beach holiday. It is just that we need to raise awareness of the issues the area is facing and make sure that we all respect the landscape that we are lucky enough to enjoy. Previous articleThe Tragic Plight of Galgos & Spanish Hunting Dogs: Is There Hope on the Horizon? 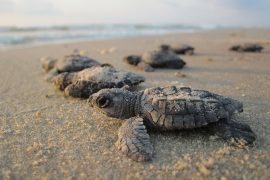 Next article‘Voluntourism’ Holidays: Do they create more problems than positives?